When students entered the Massey Performing Arts Center on Friday, September 15 for another senior recital, they were greeted with an artist who is no stranger to the stage. 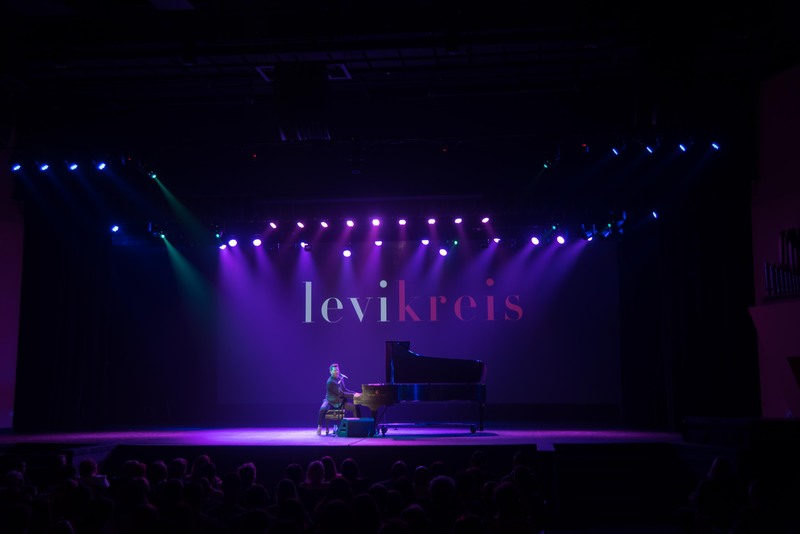 Tony Award-Winning singer, songwriter and actor Levi Kreis performed his senior recital before a full house last week, signaling the end of a degree he has spent years working towards. In December, Kreis will receive his bachelor’s of music in commercial music with a music business emphasis. After leaving Belmont years ago to begin his career before graduating, Kreis won the 2010 Tony Award for Best Featured Actor in a Musical when his experience as a recording artist, actor and pianist combined to originate the role of Jerry Lee Lewis in Broadway’s Million Dollar Quartet. Soon after, to further his success, Kreis became more and more interested in completing his degree. Since then, Belmont’s School of Music has worked around his show, tours and travel schedule to ensure he was able to complete his outstanding degree requirements. Understanding the importance of finishing what he started, Kreis set his sights on graduation. In addition to his recognition for Million Dollar Quartet, Kreis’s career has included other notable acting credits like Broadway’s Tony nominated revival Violet, the national tour of Rent, Smokey Joe’s Cafe, Pump Boys & Dinettes and the films Frailty, Don’t Let Go, Slip Tumble and Slide, A Very Sordid Wedding and The Divide.